LPNs who have completed their education at another community college, or who have earned their LPN at Kirkwood, but then took a break from their education, can continue on to earn their Associate Degree in Nursing (ADN) and become a RN. Students completing the transfer program at Kirkwood will take the last two to three semesters of the ADN curriculum to complete their degree. Classes cover medical, surgical, geriatric, maternal-child, pediatric and mental health. 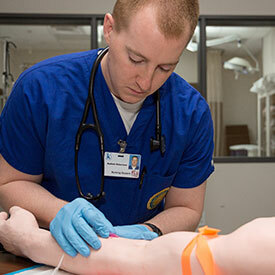 Patient care skills are learned through supervised laboratory, simulation and real-life clinical experiences that begin in the first semester. Simulation experiences occur in Kirkwood’s state-of-the art Katz Family Healthcare Simulation Center. Clinical instruction in all of the major areas of nursing occurs in area hospitals, nursing homes, mental health facilities and other health care agencies. A twelve to sixteen week, one-on-one preceptorship with an experienced staff nurse in one of eight local area hospitals provides hands-on clinical experience readying you for an easier transition to practice and can often lead to full-time position upon graduation! Kirkwood ADN (RN) are well prepared to successful pass the NCLEX-RN as evidenced by graduate pass rates greater than 92 percent for the past four years. 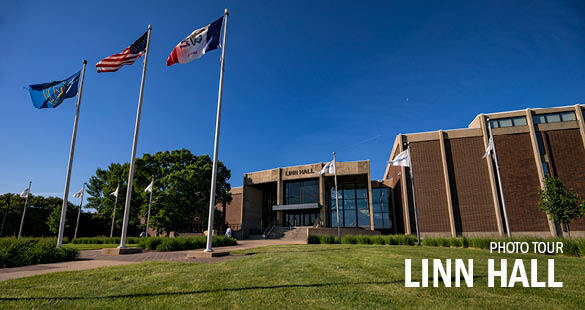 Current NCLEX-RN rates for all nursing programs in the state of Iowa are published on the Iowa Board of Nursing website. Kirkwood ADN (RN) graduates are valued employees of numerous area health care agencies with many varied and rewarding career opportunities.